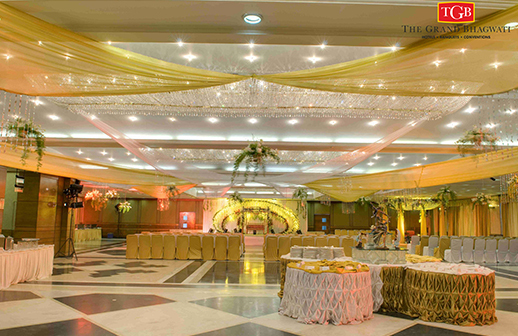 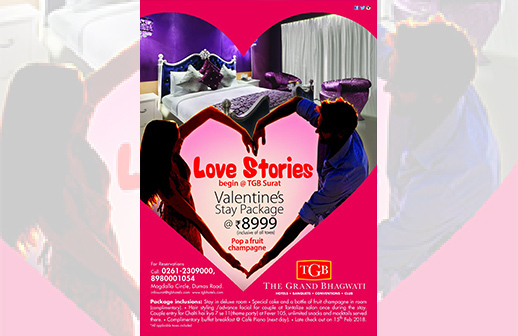 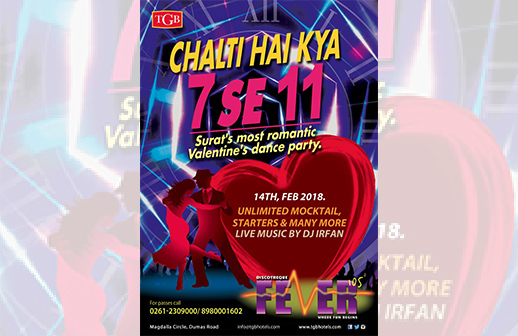 The Grand Bhagwati was created to provide convenient, smart & value for money services, when it was felt there is a need for hassle free one-stop shop for all banqueting needs, there was a dearth of a well-equipped hotel, so "The Grand Bhagwati" took shape and apart from all the banquet halls in the hotel, the Bhagwati Group came up with the idea of providing garden and party plots making it more spacious, practical & convenient for large gatherings. 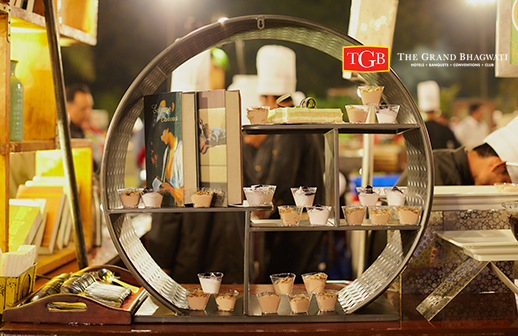 Elevate your celebration with gourmet catering by TGB. 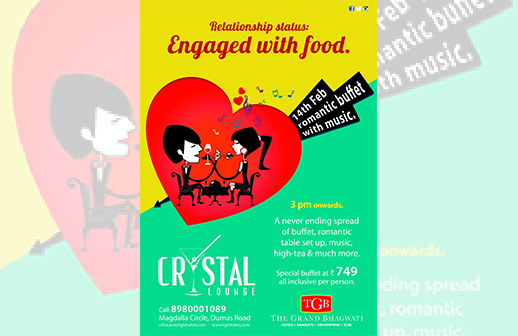 On the menu is every cuisine you can imagine in the world, customize menus and regional favorite, incredible presentation, and legendary TGB service. 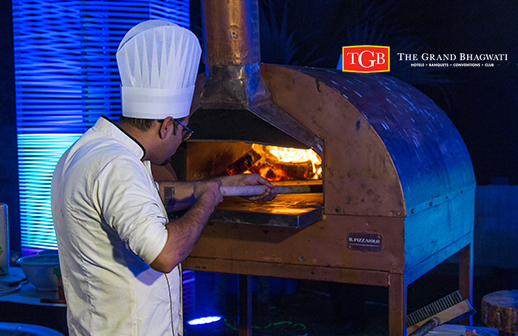 With more than 30 years of expertise in outdoor catering, when you celebrate with TGB, you create memories for life. 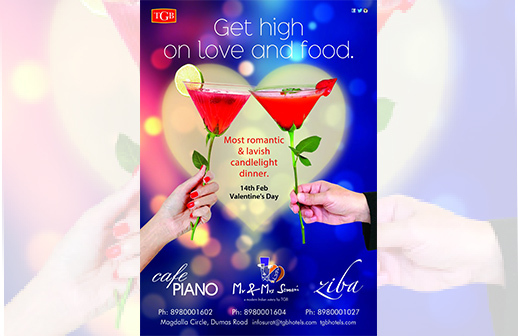 TGB is one of the very few companies that creates an international menu in a vegetarian format, which is very popular for Indian wedding celebrations in which vegetarian food is preferred. 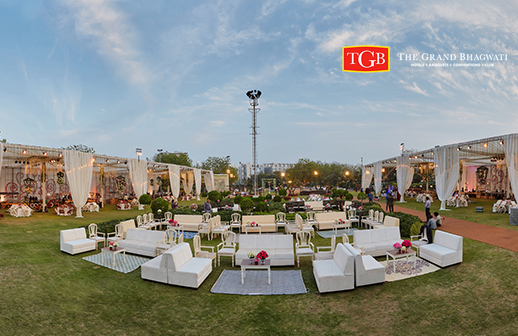 Customise a whole variety of wedding themes, from Indian to contemporary, and watch them come alive at our breath-taking venues. 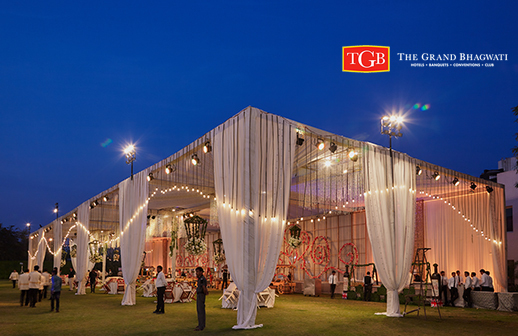 TGB provides convenience, care and glorious venues to perfectly complement your celebrations. 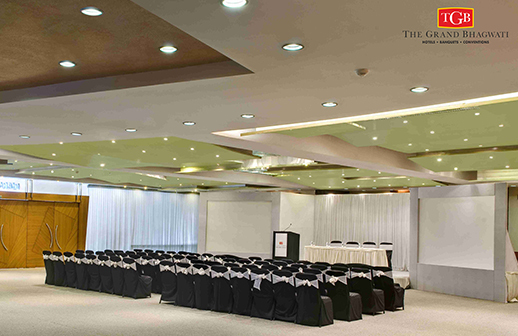 Experience a sense of pride as you take your wedding vows in the very spaces that have witnessed the blossoming of beautiful weddings.